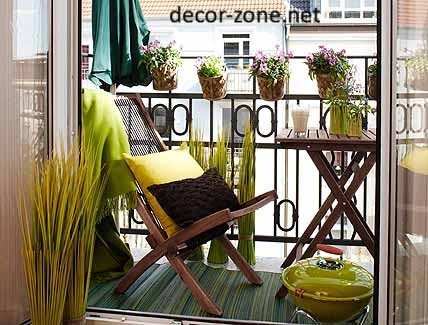 today we take your attention to a forgotten part of your apartment, we combined a collection of small balcony design ideas, and photo collection of balcony designs will please you. you can arrange so comfortable and beautiful a small balcony design and a terrace, you do not want to go away from here and into the room. 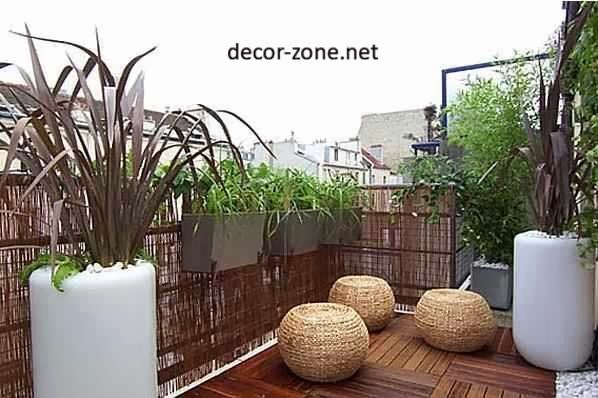 Simply plant flowering or ornamental deciduous plants, build a comfortable place to sit and come up with some interesting decorative elements. There is nothing worse than an empty balcony. 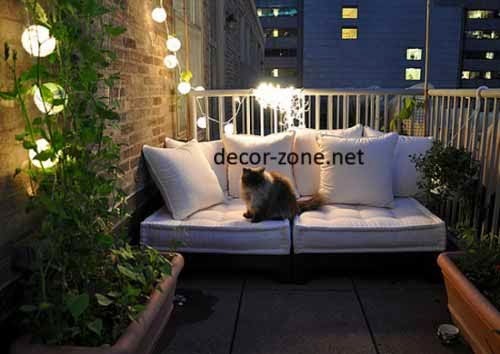 If you decorate it with plants, their natural beauty creates an atmosphere of outdoor recreation. Potted flowers do not just create privacy, but bring a sense of color and depth. Every detail has a meaning. Do not worry about the lack of beds with your favorite colors. 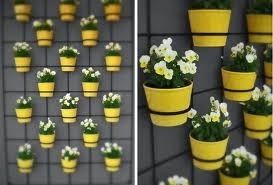 Each flower pot can be turned into a flower bed, you only need to carefully select the plants. bright colors have many advantages, but solid colors have a special charm. Narrow balcony immersed in shades of red - from hanging lanterns to flowering plants along each side of the balcony. When the flowers are arranged, you can do the rest of the arrangement of space. the convenient place to stay is not necessarily expensive. Bench on the photos made of plastic storage containers, plywood and reed mats. 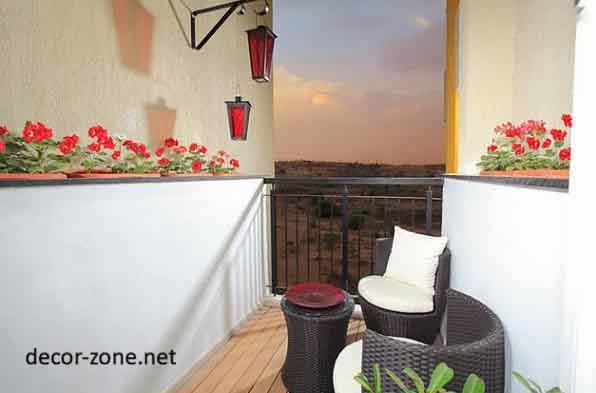 If there is a little more space on the balcony, you can put a table and chairs. No one will refuse the opportunity to dine al fresco, especially if the balcony issue in Mediterranean style. When it comes to small spaces, you need to define the priorities, you need to learn to make choices. Flowers, comfortable place to relax and enjoy the passing clouds or dining area? 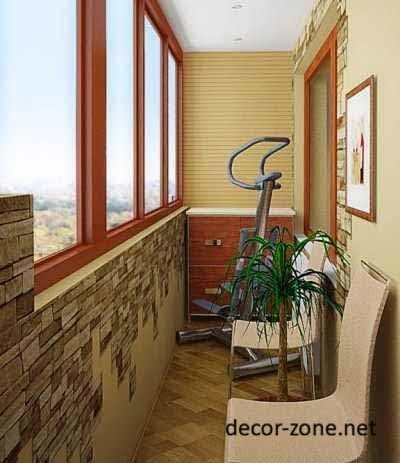 Despite the small space, the balcony is still can accommodate a variety of useful items. Two comfortable chairs, a small table on which to put a book or put a tray of drinks, and a collection of pot of plants, but charming details - striped rug and the original watering. 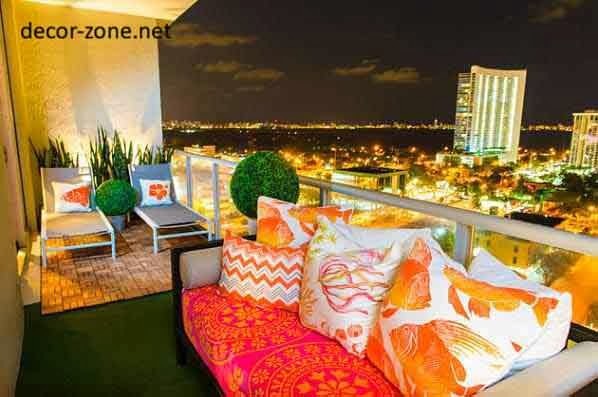 You can play with flowers and allocate separate zones - colorful deck chairs, bright sofa, blue, green, red and other vivid colors can turn a balcony into a beautiful and stylish place to relax.